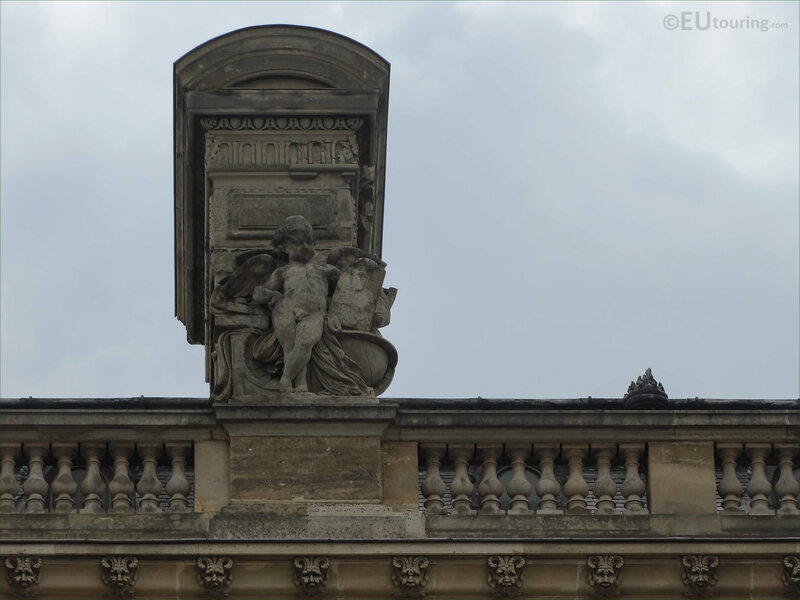 We were in the 1st Arrondissement of Paris at the Musee du Louvre when we took these high definition photos showing a statue called L’Astronomie, which was sculpted by Jean Francois Soitoux. This first HD photo shows the statue of L'Astronomie, which in English translates to Astronomy, and this is an allegory with a young child leaning on a tablet that has been positioned onto a celestial globe as though studying constellations, etc. 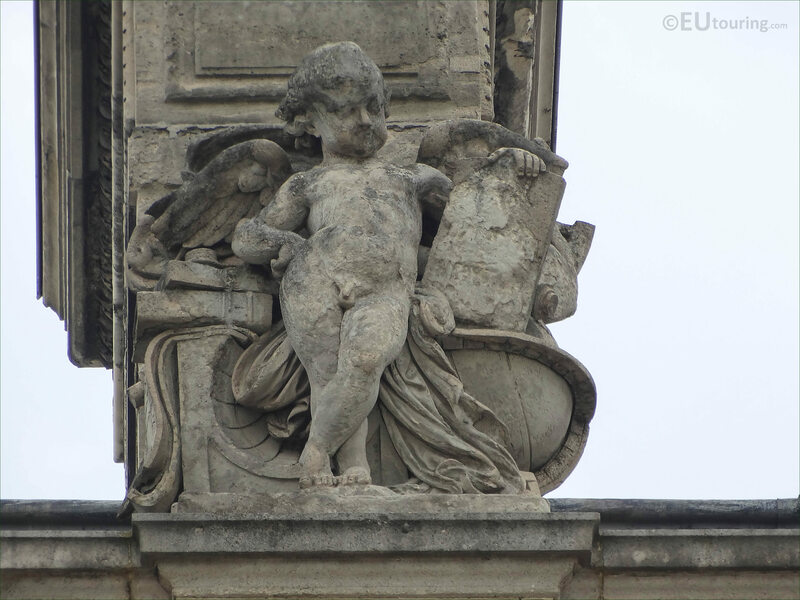 But here you can see a close up photograph of The Astronomy statue, which has unfortunately weathered dramatically over the years, but this was sculpted back in 1857 by Jean Francois Soitoux, who was born in 1816 and studied under David d'Angers to become a French sculptor. 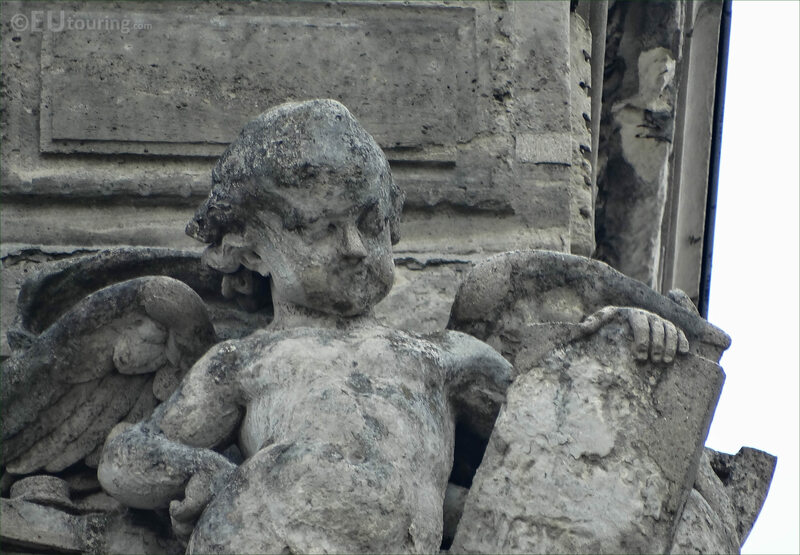 Now Jean Francois Soitoux received several different orders to produce statues for The Louvre including two of the series of famous French men that have been portrayed on its facades, yet he also worked on the Palais des Tuileries, which has unfortunately since been destroyed after the French Revolution. However in this image you can see the position of L'Astronomie statue on the third level balustrade by the roof line and chimney of the Aile en retour Turgot, which can be seen as the second statue from the right hand side, or alternatively, seventh from the left. And you can see this as you are looking at the facade from the courtyard of the Louvre Museum called the Cour du Carrousel, which faces towards the Jardin des Tuileries, even though this particular wing is classed as a part of the Cour Napoleon area of The Louvre.